Catholics may be onto something. In fact, they’ve been “onto something” for almost two millennia! I just can’t believe nobody trademarked this idea yet! During Lent, most Christians feel called to give up “something”. In my Catholic Christian family, we were also required to fast, for lack of a better term, for the whole period of Lent. Everyone knows about Catholic’s Fish Fridays. My mom just took it a bit further. Did I mention my mom is Irish Catholic. If you’re Irish Catholic, you know what that means. So, every Lent we would eat smaller portions, cut out snacks and go without desserts. I still continue this tradition to this day. Though now I break fast on Sundays, we carried out this fast, in my childhood home, all the way to Easter Sunday. As I matured in Faith, I fasted — as in no food — during Holy Week, cleansing my body with Detox Tea until the morning of the Great Sabbath, Holy Saturday aka Easter Eve. Every year, I lost weight and felt like a million bucks! Originally, I ended my holy fast on Easter Sunday. However, here’s why I stopped. 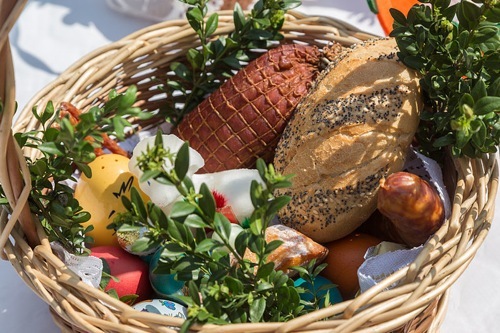 Polish people celebrate Easter with Kielbasa and an cornucopia-kowski of Polish treats: hard-boiled eggs, butter, ham, horseradish, bread, babka and other foods. So, as a precaution, I now start toxifying the day before Easter, so I could feast on the holiest day of the year. Now that I’m a parent myself, I instill the same sense of sacrifice in my children. It’s easy to do — with a little help from the Easter Bunny. I give a few tips here. One alteration I made from mom is that my kids substitute a healthy snack for the usually after-dinner dessert. Besides that, its pretty much the same regiment! Cut calories, eliminate snacking, and no desserts every day — except on Sundays! The good thing is that you don’t have to be Catholic to feel good; just eat like one — during Lent and beyond! As far as the trademark, I’m working on it. 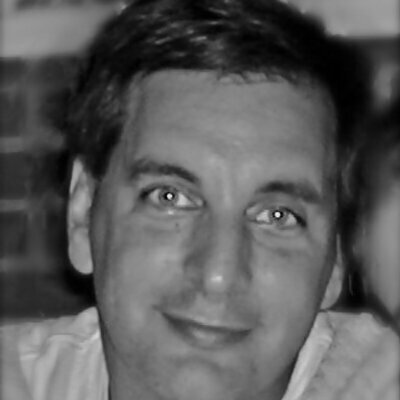 James Henry is the author of Corporation YOU: A Business Plan for the Soul, ‘Twas, and the new book series Hail Mary. To contact James or book an interview, please contact Mark of Goldman/McCormick PR at (516) 639-0988 or Mark@goldmanmccormick.com.